Several students faced difficulties in completing their admission formalities as the Delhi University’s server came under severe pressure and the DigiLocker, a government-owned public cloud storage where certificates and documents were stored, was not integrated with the varsity portal yet. The website was inaccessible for quite some time, forcing the students to flock to colleges and seeking help from professors in generating forms. While some students and professors claimed that the website was inaccessible, a senior Delhi University official said that there was heavy traffic on the website but said that it was functioning properly. A Delhi University professor said that students were quite hassled after they were not able to generate admission slips since the website was not functioning properly. “There was heavy traffic on the website between 9.30 am and 11.30 am but later, the traffic eased…Around 1,070 students registered on the website today,” said the varsity official. Students also faced problems since DigiLocker is not yet integrated with the system. “The certificates and documents stored on DigiLocker could not be accessed by the students since they are not yet integrated with our system. However, the university has given them a time of 10 days to furnish documents,” said an official. DigiLocker refers to dedicated personal electronic space in a government-owned public cloud storage, where individuals can keep their documents, files or certificates. The individual is also able to download or share them online with various stakeholders as and when required and the storage space is linked to the Aadhaar of the user. The university had also changed norms for students seeking admission under the OBC category by stating that they will have to produce certificates issued only after March 31, 2018. “Many students had not read the rules properly and were confused when we did not accept their documents. 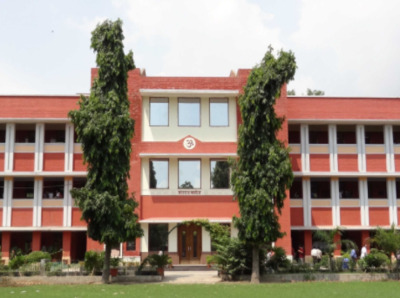 We sent them to varsity officials and later they issued a clarification saying that the colleges can provisionally admit the students, who are mandated to submit the certificates within a period of two weeks,” said a professor of Shri Ram College of Commerce. Delhi University yesterday announced its first cut-off list for merit-based undergraduate courses in the 2018-19 academic year, recording a drop in the minimum required marks as compared to last year. Last year, the highest cut-off was 99.66 per cent for B.Sc (Hons) in Electronics in SGTB Khalsa College. In humanities stream, Khalsa College had set the highest cut-off at 99 per cent for BA (Hons) in Political Science. In science stream this year, the highest cut-off is 98 per cent for B.Sc (Hons) in Physics in Hindu College. Sri Guru Tegh Bahadur Khalsa College also has a cut-off of 98 per cent for its B.Sc(Hons) in Computer Science course.